I may well be stating the obvious, but when I add a splash of colour to my outfit I instantly feel uplifted. That may sound sad, but there's something about a pop of colour that elevates my mood. You may have seen from my last post, I have begun to think about my spring time wardrobe. Needless to say it's going in the direction of florals, florals and more florals. Shock horror. 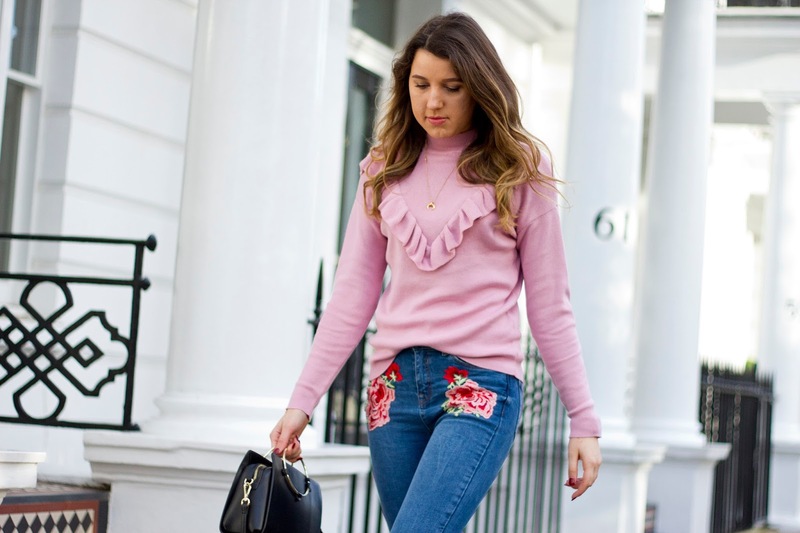 Floral embroidery seems to have taken the fashion world by storm. 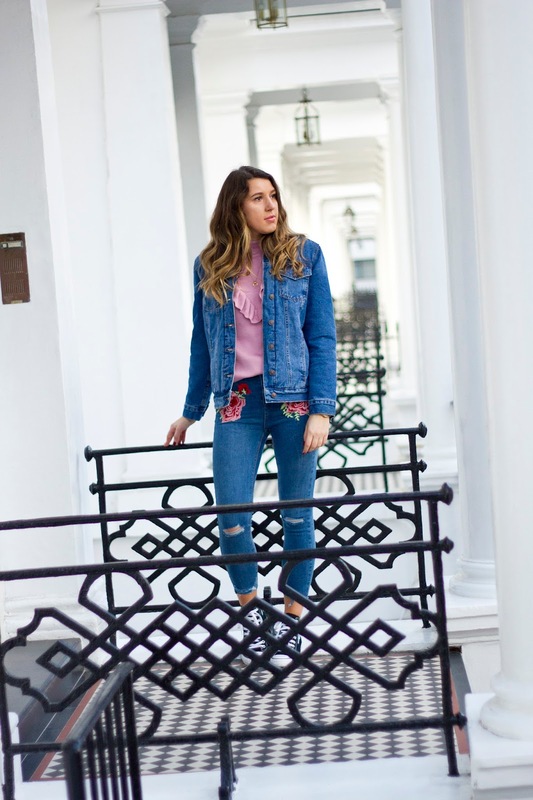 Printed on jeans to shoes, it's a trend that really has gained momentum. I'm still lusting after the Gucci floral embroidered Dionysus bag, but unfortunately it's a little out of my price range. A girl can dream for now I suppose. 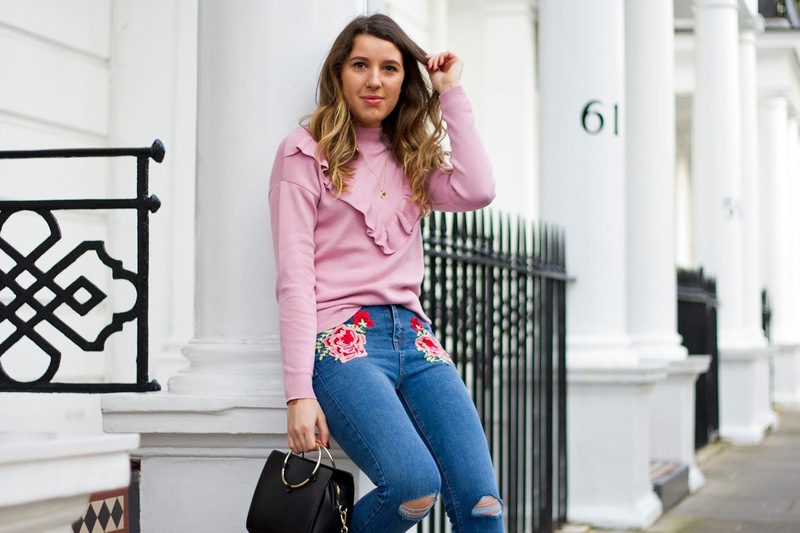 With that said, finding floral embroidered pieces on the high street that look designer worthy is not hard. 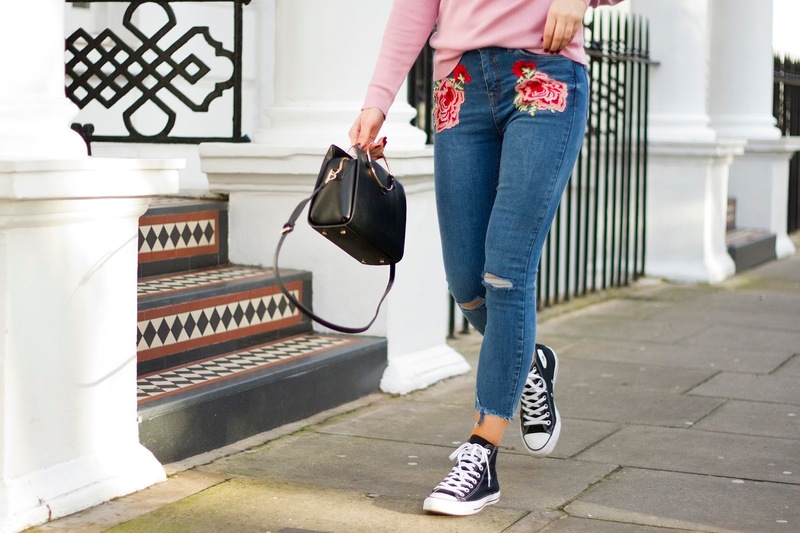 Take these jeans for example, at £29.99 they are extremely affordable but at the same time you won't feel too bad should they only see you through a season, should the trend die down a little. 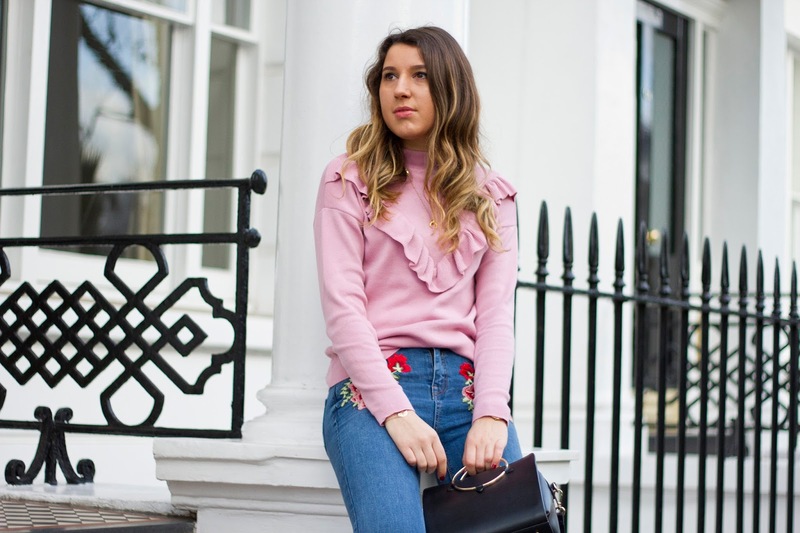 The frill trim detail on this very pink jumper makes for one very girly outfit which is why I wanted to dress it down with my black high top converse. Not to mention, I love incorporating them into my everyday look because they are SO comfortable. Flats all the way I saw. 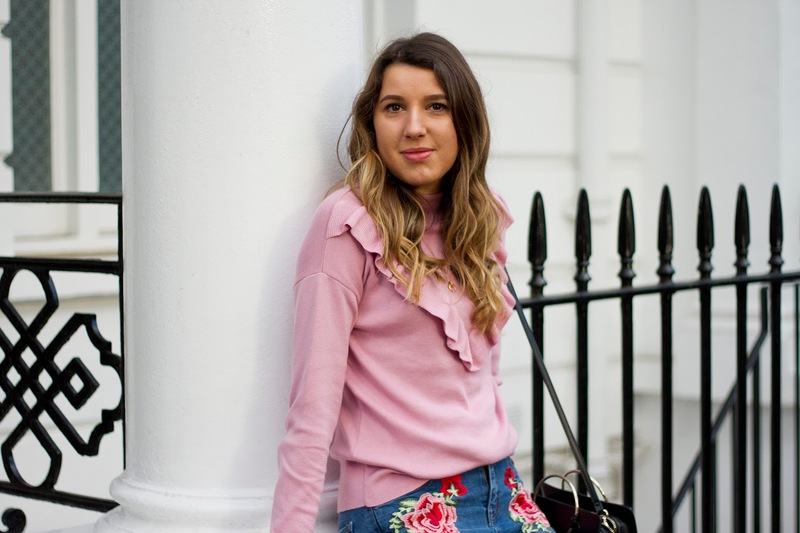 I know spring may seem like an age away but what pieces do you plan on wearing as the seasons begin to change? I would love to know.